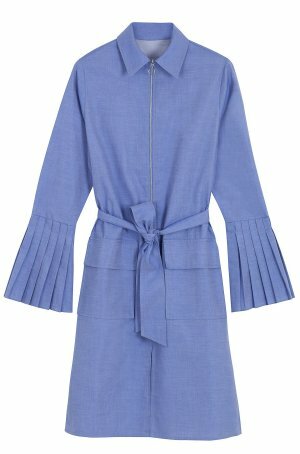 This shirt dress is crafted from fine cotton and has a slightly loose silhouette with flared pleated sleeves. It has a half zip detail at the front and a tie at the waist. Style yours with sandals.